Call us on 020 8687 8195 or contact us via form to discuss your requirements or arrange a demonstration. 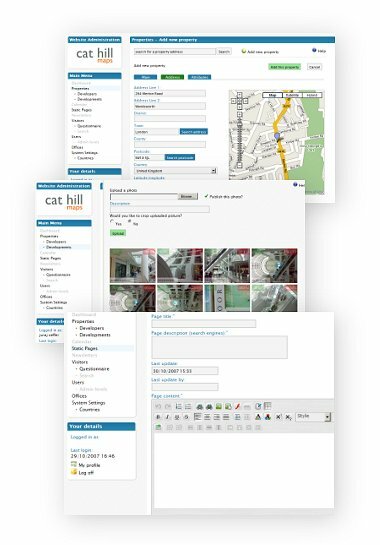 Cat Hill Estate Agency Software is designed to transform the way Estate Agents sell properties online. Via its state-of-the-art administration (CMS) and geomapping services, it cleverly matches needs of potential customers. Get ahead of the competition. CMS and website hosted on a high-accessible server in London. 24/7 status monitoring. © 1996 - 2009 Cat Hill Productions. All rights reserved.